Product prices and availability are accurate as of 2019-04-21 09:57:20 UTC and are subject to change. Any price and availability information displayed on http://www.amazon.com/ at the time of purchase will apply to the purchase of this product. Shipped from US and fulfilled by Amazon . Sold by WELETION Apparel and Fulfilled by Amazon Blast to the Past! Let's be honest, is one of the coolest movies ever made. Remember when stretched out his arm across the court to make that winning basket? That was enough to choke on your popcorn! 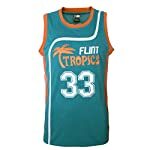 And you can now have a piece of this cherished childhood memory with our spacejam jerseys. Whether you were into Bugs, Taz, Lola, Daffy Duck, or even Murray, you can show them some love by donning their 23 jersey, and brace yourself for a ton of compliments. Nothing But Quality! Here's why you'll love this jersey: - Design available in black and white. - Excellent quality featuring cutting-edge REV 30 material. - Great fit ranging from S, M, L, XL. - Easy to clean and quick to dry. - Choice between any of the jersey names. 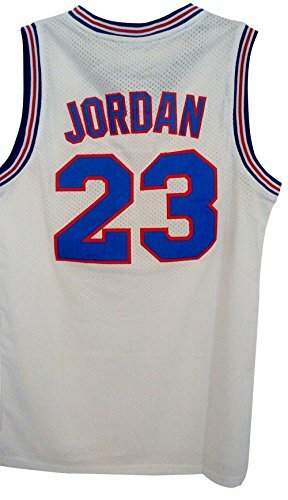 Count on this jersey to cross you over with nostalgia and dunk over you with unbeatable quality.